Every home should have a paper / document shredder. 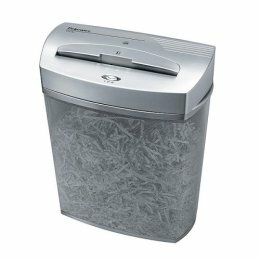 If your child is setting out on their own, give them a shredder as a house/apartment warming gift. Getting married? Then register at Staples, and choose a heavy duty shredder for the two of you. Sounds a bit silly really, but it is one of the soundest pieces of unasked for advice you will receive. If a person with bad intent has a small snippet of information about you, they can, and do everyday, use that snippet to bilk you, and others, out of hundreds, and thousands of dollars. You can prevent it from happening by spending between $70.00 and up for shredder that will shred well, and shred for awhile. Once you have the shredder home put it where it can be accessed easily, and begin the habit of shredding every piece of paper that comes into your home that does not immediately go into a file cabinet to be saved, or put aside for when you pay the bills. Everything with your name on it, and/or your address on it. Everything you do not wish to keep, shred. Obviously, don't shred your bills, as much as you would like to, or insurance policies, and other important papers you will need in the future, but everything else...into the shredder once it has served its purpose. Consider this preventive medicine. A stray breeze could pluck a bank statement of yours from the trash, and place it right into the hands of a person who knows just how to access your funds with that small snippet of information. Don't give them the chance. Tomorrows Saturday, a good day to cruise the aisles at Staples. You will never regret it. Oh, and I don't get a kickback from Staples, but it would be nice.